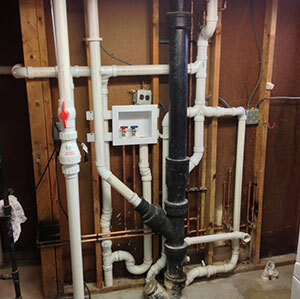 You own and are responsible for maintaining the pipe from your house to the sewer main, called the Building Service. 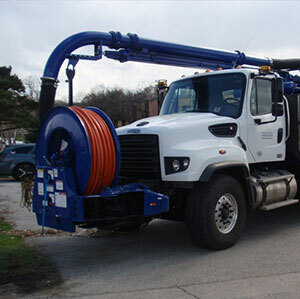 The District owns and is responsible for maintaining the sewer main in the street or parkway. There are many possible causes of sanitary sewer backups. Our Backup Handbook can help. We have several programs that help with backups. The Building Sanitary Service Repair Assistance Program is a program that allows the District to do repairs on our customers’ privately owned building sanitary service pipes where we have identified qualifying defects. The Backup Reimbursement Program is a program that can help cover some of the costs associated with cleanup and repair of damage to the customer’s house that is the result of a backup into the house caused by a blockage in the public sanitary sewer main. 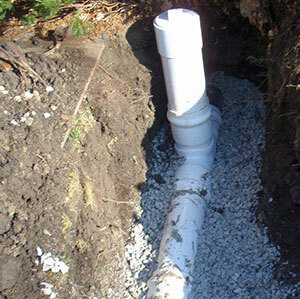 The Cost Reimbursement Program for the installation of Overhead Sewers or Backflow Prevention Devices is a program to cost share with customers who want to upgrade the internal sanitary drainage system in their house to current standards by installing a system or device that will protect their house from sewage backing up into it in the event of a mainline blockage or wet weather surcharging of the public sewer main.